Left by a lovely lady from Taiwan, it means ‘Wonderful, love the nature.’ A sentiment we certainly agree with! Merry Christmas to all our visitors, and we hope you have a happy and healthy 2018! John Muir’s Birthplace will be closed from 25 December until 2 January inclusive, and we will reopen on Wed 3 January at 10am. We are looking forward to a very busy 2018 which includes some thrilling plans for the John Muir Award 21st Birthday, an exhibition on John Muir and William Keith and exciting developments within our shop to emphasis local producers. We also anticipate welcoming many more of you walking the John Muir Way, if you complete this in 2018 remember to pop in for your certificate. We are delighted to be hosting images from the Scottish Landscape Photographer of the Year once again. This ever popular show contains some amazing images, including well known and unfamiliar views from across our beautiful country. Now in its third year, the Scottish Landscape Photographer of the Year competition is the brainchild of respected Scottish Landscape photographer, Stuart Lowe. 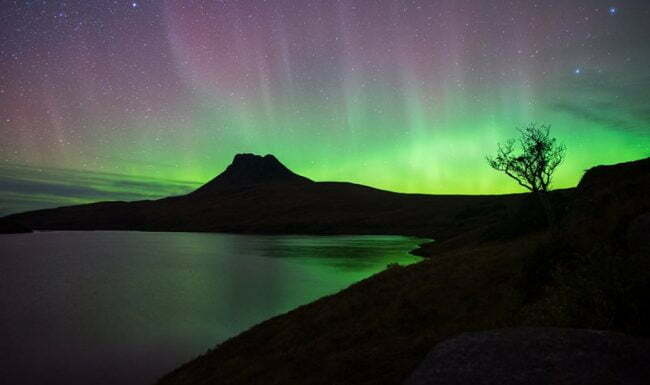 His aim is to showcase the work and raise the profiles of the many talented photographers who live in, and come to Scotland to capture breathtaking scenery through their lenses. It is a true photographer of the year competition, where the overall winner is chosen from a portfolio of work and judged from the quality of their images combined with field-craft and genuine photography skills. 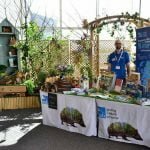 On display are 8 of the winners of the John Muir Trust – Wild Spaces category of the competition, awarded to photographers whose images represent Scotland’s wild places and 10 further images from other categories. To find out more about the competition please visit http://www.slpoty.co.uk/. 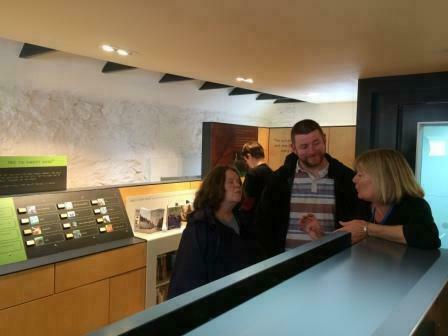 As a sixth year student from the Berwickshire High School, I spent this week on work experience at the John Muir’s Birthplace and the John Gray Centre in East Lothian. I got to experience what it is like to work in these places while also having the opportunity to see and learn about lots of historical things. I saw the behind the scenes of many different job roles surrounding museums, such as general work in the museum, planning exhibitions and events, talks, working in collections and archives and also maintaining and updating the museums. All of these jobs were more complicated than I originally thought. There are many things I didn’t think about when it comes to running a museum, like the many different skills that are necessary. The most unexpected skills I saw utilised were design skills, that needed to be used on the image of the museums. The main thing I had the opportunity to learn about was John Muir and his legacy and how his story is told through the John Muir’s Birthplace museum. Working in the museum involves taking tours and talks, organising events and exhibitions, working on maintaining the museum and also office work. 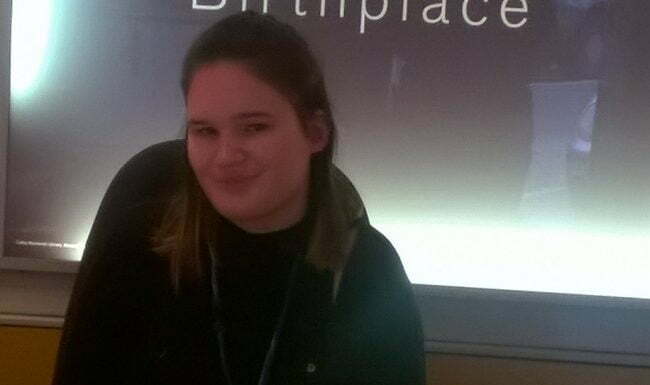 This job involves a lot of flexibility and the need to be able to adapt to change which is something I didn’t originally consider when I signed up for this work experience placement. This week has helped me to discover that I would like to work in an office, mainly because I enjoy being organised and planning. Office work was something I got to see at the Dunbar Town House and John Gray Centre, where some of the things they did there was research and planning things. I also discovered that my main skills are in gathering information, which is something I learned from being in the museums, surrounded by information. 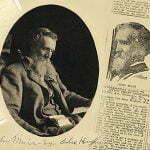 We are delighted that we currently have more than 30 East Lothian Primary 5 classes booked to visit John Muir’s Birthplace during this academic year as part of the John Muir Project. Each year East Lothian Council Arts Service sponsors all Primary 5 Classes in the county to undertake the project as part of their Citizenship curriculum. The project includes drama and dance elements exploring John Muir’s life in addition to work with the Countryside Ranger Service in an area close to the School, and a visit to John Muir’s Birthplace to further promote understanding of his life and legacy. As well as the East Lothian Schools, John Muir’s Birthplace also plays host to several John Muir Award Groups and Schools from outwith the county. During the 2016/17 academic year we welcomed more than 1500 pupils and students, who all went away enthused to find out more about John Muir and how they can keep his legacy alive. 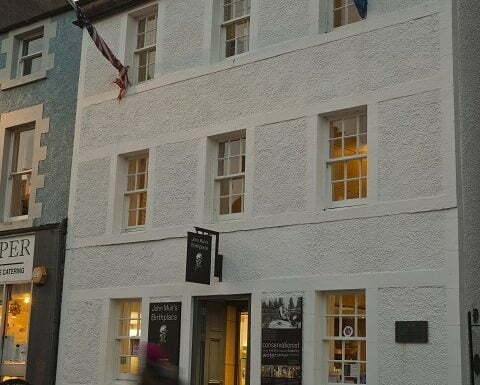 If you are interested in bringing a group of any kind to John Muir’s Birthplace please have a look at the Group and School sections of our website, or email museumseast@eastlothian.gov.uk with your specific requirements. 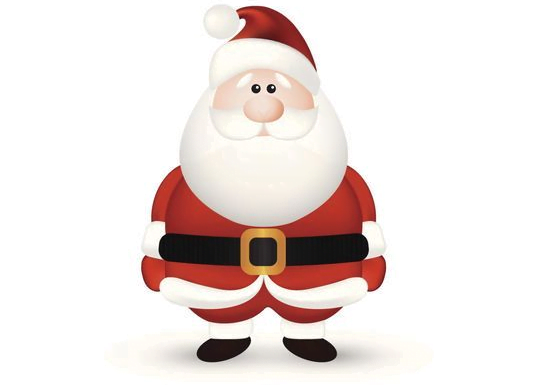 Book up for this academic year by Christmas 2017, please note we now only have very limited availability in April, May and June. 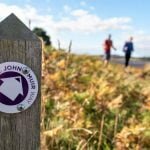 September has proved a busy month on the John Muir Way, with a diverse group of visitors coming in daily to claim their completion certificates. 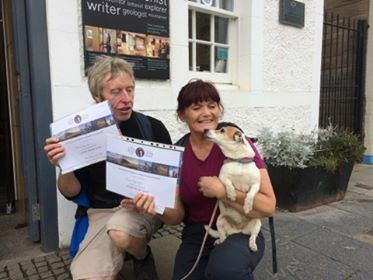 Zara is not the first dog to have completed the John Muir Way, but we felt her very little legs mean that her 134 mile adventure deserves a special mention. Zara is pictured here with her owners, James and Jacquie. 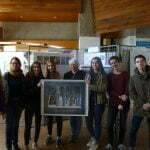 We were also delighted when a group of ladies who all met when working for the US National Park Service visited, also after having completed the John Muir Way. 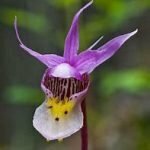 The group were organised by Roberta Moore, an alumni of Great Basin National Park, who has previously visited John Muir’s Birthplace. Several of the ladies had worked at Yosemite, and were delighted to watch our film of their beautiful park. As you can see from the photo, the weather was not kind to them, however it definitely didn’t dampen their spirits! If you intend completing the John Muir Way and finish in Dunbar, don’t forget to pop in to see us and collect your certificate! Join us this weekend as we make it easier for our younger visitors to discover more about John Muir with two special trails developed for Doors Open Weekend on 23 and 24 September. 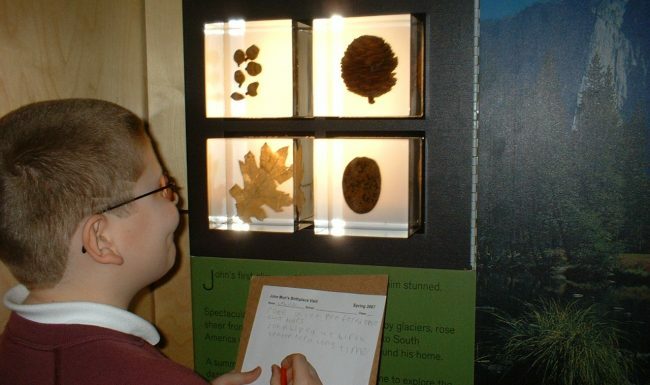 You can choose between a general trail which will encourage you to look carefully through all our displays to find the answers to John Muir questions, or a special John Muir’s Animals trail which will have you looking specifically for different animals from John’s story, and then drawing your favourite. Everyone who tries the trail will get a special animal sticker, so what are you waiting for? This event is part of Edinburgh Doors Open Day run by the Cockburn Association, look here for further details about other events happening this weekend. 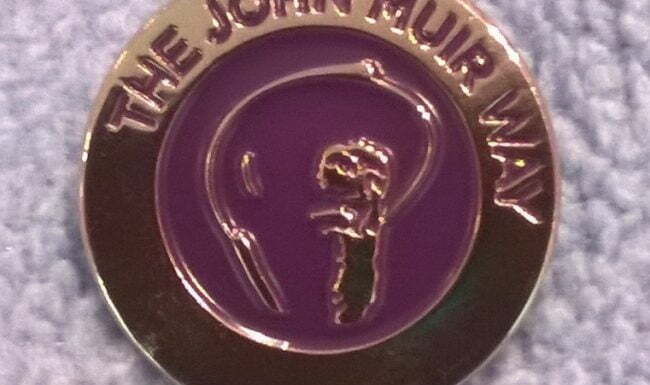 For the very first time we have beautiful John Muir Way pin badges available for sale in John Muir’s Birthplace. If you are looking for a momento of your journey along the Way or even just something to remind you of your visit to Dunbar, at only £3 each these are irresistible. To find out more about walking the John Muir Way, please see John Muir Way or visit http://johnmuirway.org/. 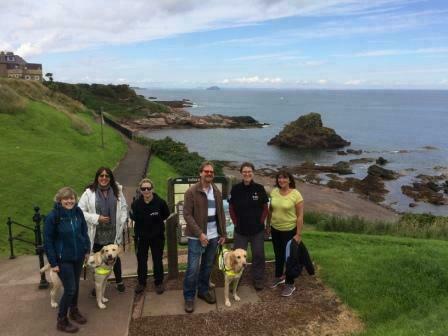 We had a lovely visit on 2 August from a Guide Dogs for the Blind group undertaking the John Muir Award with the NTS Rangers at Newhailes. The group had a lovely morning exploring the Birthplace and enjoyed discovering our collection of handling objects to bring the story to life for them. 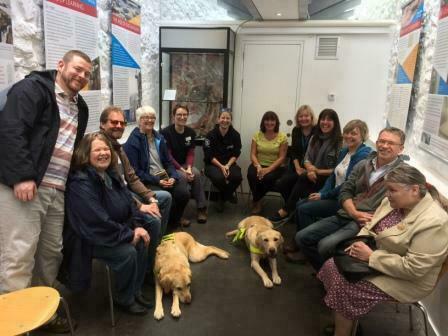 Guide Dogs Woody and Royal enjoyed the well deserved attention from Museum Staff. For more information on the John Muir Award, open to groups or individuals, visit the John Muir Award Website. 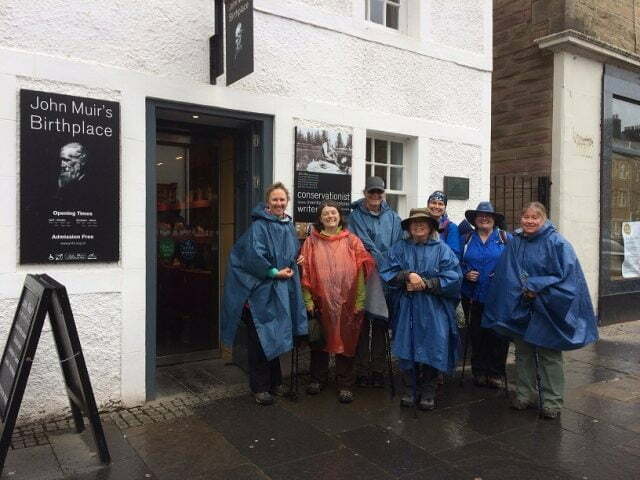 If you would like to find out more about group visits to John Muir’s Birthplace look at our Group Visit Section, or call 01368 865899.